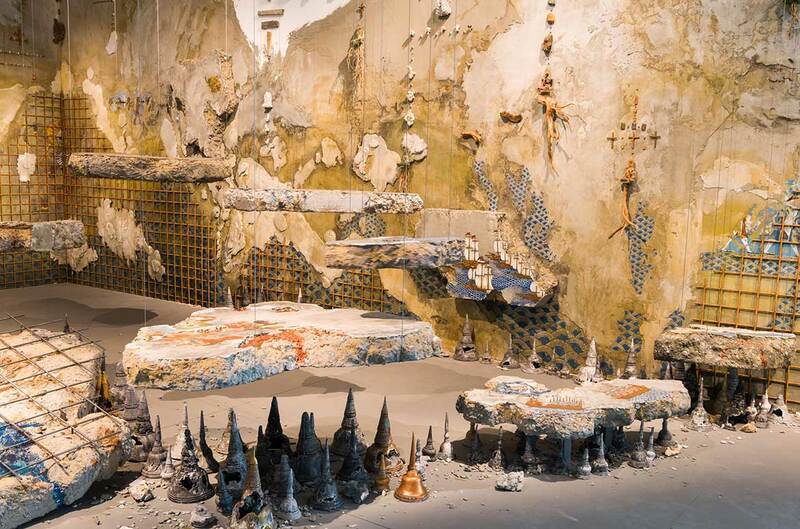 This year, as we celebrate the 40th anniversary of the Foundation, Thai artist Pannaphan Yodmanee’s extraordinary work In the aftermath 2018, commissioned for ‘The 9th Asia Pacific Triennial of Contemporary Art’ (APT9) is the subject of our 2019 Queensland Art Gallery | Gallery of Modern Art (QAGOMA) Foundation Appeal. From the age of ten, Pannaphan Yodmanee learnt traditional painting techniques at her local Buddhist temple. She now draws on Buddhist cosmology to create site-specific installations that resemble both the details of murals in the ruins of old temples and the remains of demolished urban sites. Architectural settings are constructed using building materials, including slabs of concrete, exposed iron structures and walls primed with concrete and rocks, into which Yodmanee places objects and paints detailed imagery. Within this raw built environment, Yodmanee delicately paints scenes depicting historical events in South-East Asia, including conquests and battles, as well as journeys across land and sea, applied with gold leaf and using the vivid blues of Buddhist painting. The works also feature handmade sculptures and icons. For her work for APT9, the artist has created thoughtful connections to local history. Yodmanee is particularly interested in the roles that faith and religion play in our lives — their capacity to foster peace and happiness, and their implication in conflict and violence. Steeped from childhood in traditional Buddhist painting techniques, Pannaphan Yodmanee is part of a new generation of Thai artists. Yodmanee’s In the aftermath is a sharply resolved composition of painted, sculpted and found materials that coalesce into an enthralling mise en scène. Its primary foundations are demolished concrete walls, abstractly ‘grid-lined’ by steel-reinforcing wire. It is as if the impact of an earthquake has ruptured a temple courtyard, its surviving fragments of beauty reduced to ruin. At one level, In the Aftermath is a meditation on the coexistence of faith and civic life. At another, it materially collapses the splendour and pageantry of Thailand’s past in order to reflect on recent civic upheavals. 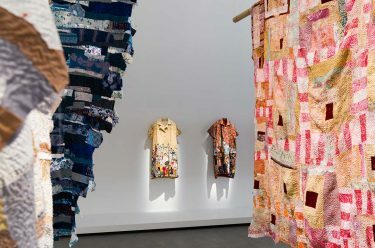 Visitors to the Gallery of Modern Art (GOMA) can view this outstanding installation in APT9 until 28 April 2019 and elements of the work will remain on display following the closure of the exhibition. The Foundation, the Gallery’s vital fundraising body was established in 1979 and has raised more than $140 million, with generous support enabling the acquisition of more than 8,300 artworks, over 45 per cent of the State’s Collection. The Foundation’s 40th anniversary and 2019 artwork appeal for In the aftermath 2018 is an opportunity to reflect on the generosity of the Gallery’s many supporters who have contributed over the past four decades. Find out more about the QAGOMA Foundation and the 2019 Foundation Appeal. With your support, the 2019 QAGOMA Foundation Appeal will bring this significant work into the Collection. 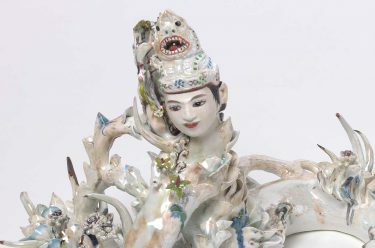 It will be a remarkable APT9 acquisition and addition to QAGOMA’s renowned collection of contemporary Asian and Pacific works, by one of the region’s rising stars. Read more about Pannaphan Yodmanee in The 9th Asia Pacific Triennial of Contemporary Art available online or in store. The publication represents an important and lasting document of the current artistic landscape of Australia, Asia and the Pacific.